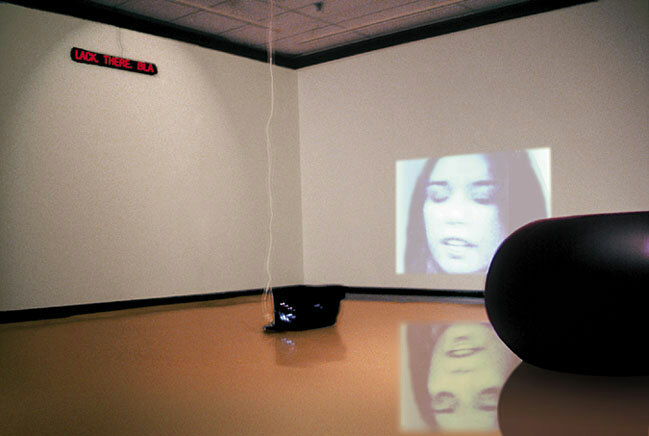 Black There, 1985 , Interactive; Installation views. 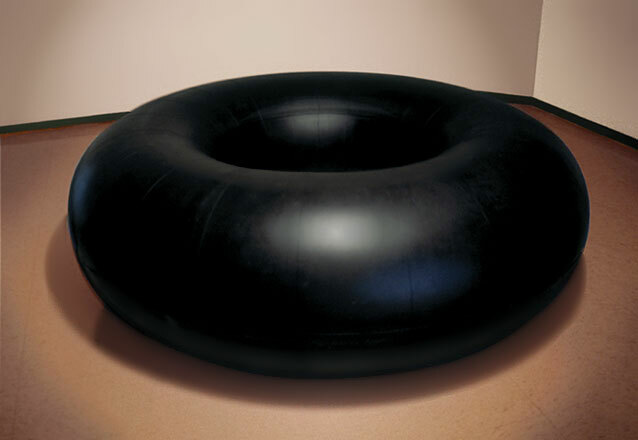 Lacquered airplane inner tube, closed-circuit video camera, video projector, candle, LED sign. 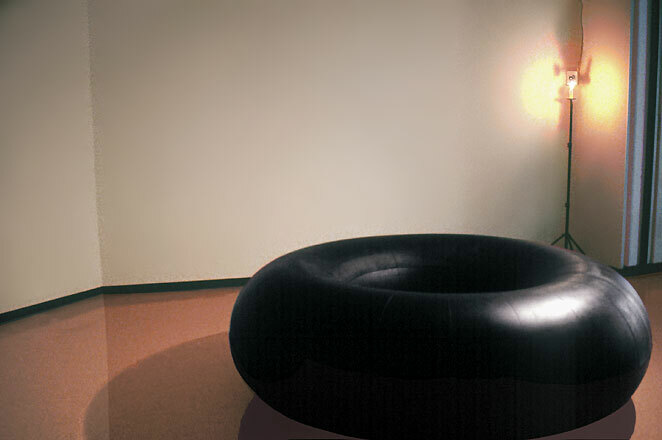 Visitors invited to sit on vibrating inner tube, or interact with a video camera. With a lit candle (providing light) the camera records viewer's face and projects it onto the wall behind him/her. One could only see another's face, not one's own. An LED sign continually scrolls "Black. There." The statement here is clear...the viewer is a component of the artwork. Surveilance video camera on tripod with candle.